Mumbai Indians glorious Indian Premier League journey, culminating in three title triumphs across 11 season, will be documented in a video series on Netflix. Global online streaming platform Netflix has announced the eight-part documentary on the three-time Indian Premier LeagueChampions Mumbai Indians. 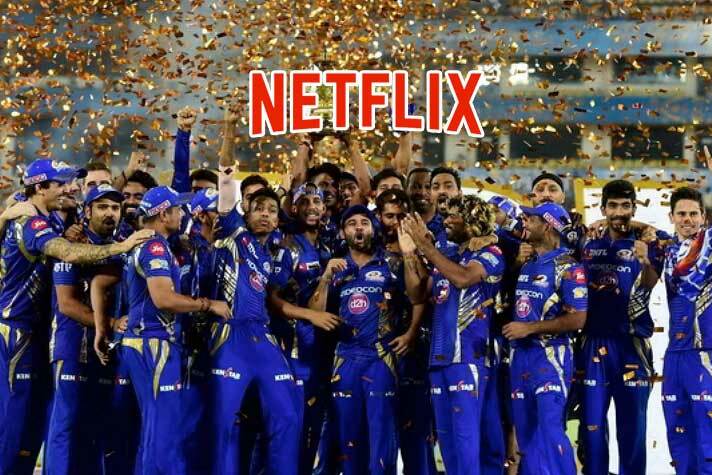 The Mumbai Indians-Netflix endeavour will be a new addition to the glorious off the field history of cricket world’s richest tournament. All the eight episodes will be made available on the platform from March 1. The documentary is expected to feature Mumbai Indians journey from inception to the readiness for the upcoming Season 12. Right from the auction ahead of the maiden IPL season in 2008 to the last season where the Reliance Group-owned IPL franchisee failed to qualify for the knockouts, the series is likely to feature the tales and performances off and on the field. Titled ‘Cricket Fever: Mumbai Indians’, the documentary has been produced by Condé Nast Entertainment. Al Edgington, Joe LaBracio, Jeremy Finn, Jamie Stewart and James Maby are the executive producers. It is also believed that the documentary will comprise viewpoints of the vital individual at the franchise in captain Rohit Sharma, coach Mahela Jayawardene, owner Neeta Ambani and most importantly the loyal supporters of the team. The announcement was made yesterday after a tweet was uploaded on the official Twitter handle of Twitter India. “Sleepless nights? Nervous nail biting? Screaming at your screen? If you’ve experienced any or all of these symptoms you might have Cricket Fever, premieres 1st March,” the caption read. Slated to release just over three weeks before the IPL Season 12, the documentary is likely to aid the franchise build on their wealthy fan-following.